The best beginner snare drums are great tools that can be played on their own, or used as perfect instruments for practicing. Find out which one is right for you. 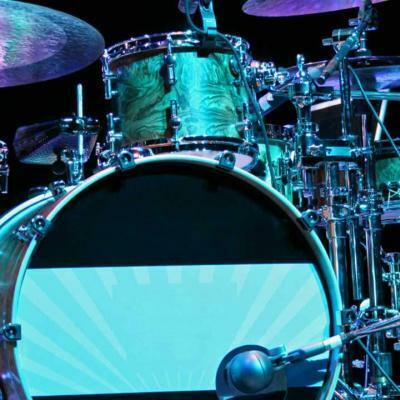 Snare drums are an essential part of any drum kit as they dictate the tempo of the drum solo. 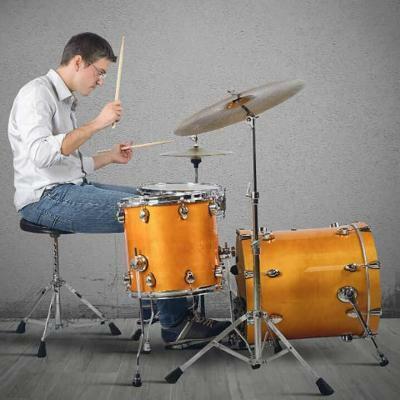 They serve as a timing tool that drummers use effectively. The best snare drum, in actuality, goes beyond the drum kit as a whole. It can be played on its own, with a pair of cymbals, or slung over shoulder and played in a marching band. 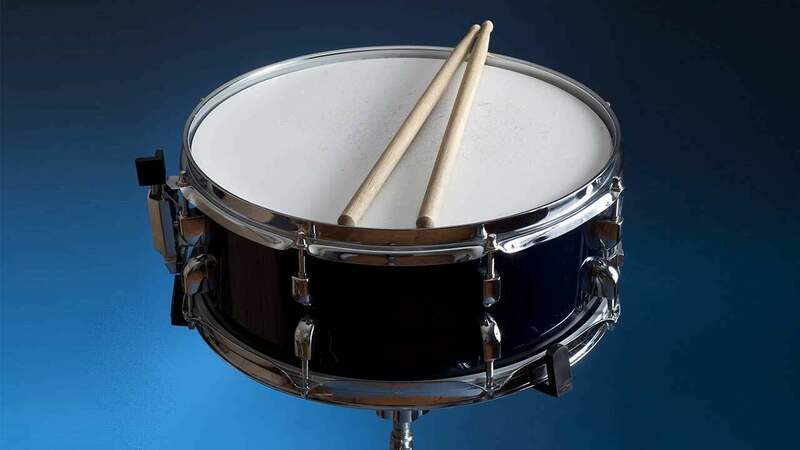 The list of uses that a snare drum has, the scenarios and musical arrangement to which it can fit in is not necessarily broad, but they are enough to justify starting your drum set with the best snare drum kit that money can buy. Some of them come packaged with drumsticks, stands and even cymbals. 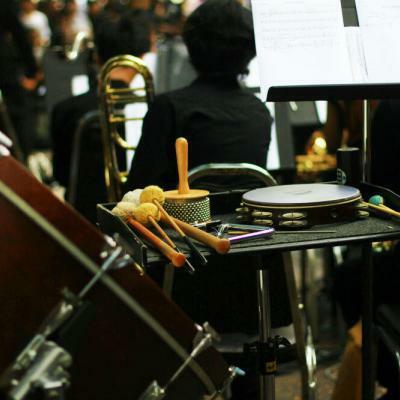 ADM Snare Drum comes with a hairline nickel finish which adds to the responsiveness of this student’s drum. 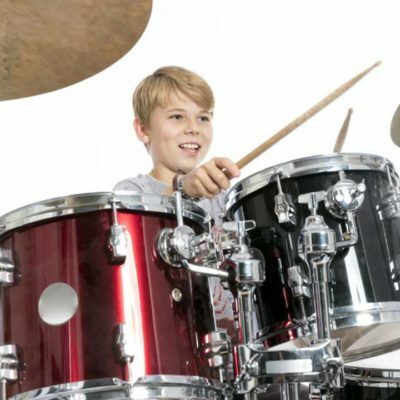 The drum itself is measured like any full-sized drum which can provide a positive real-drum experience for student drummers. The included stand is measured at 19 inches, adding the drum makes the total height at 26 inches, the standard height for snare drums in professional drum kits. This ADM Snare Drum comes with a rubber practice pad which reduces the sound produced making it ideal for practicing at home or any other area where reduced noise is required. 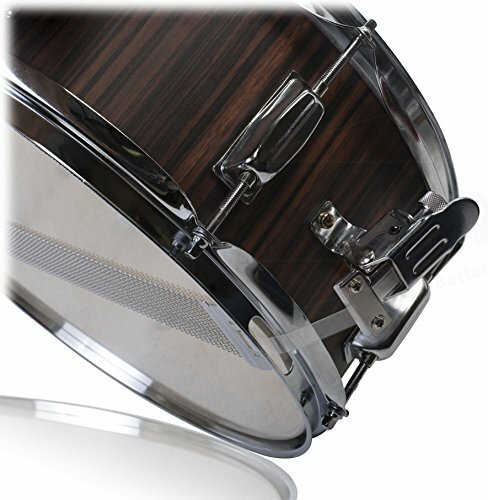 ADM Snare Drum comes with soft straps that can be adjusted to fit any body type. 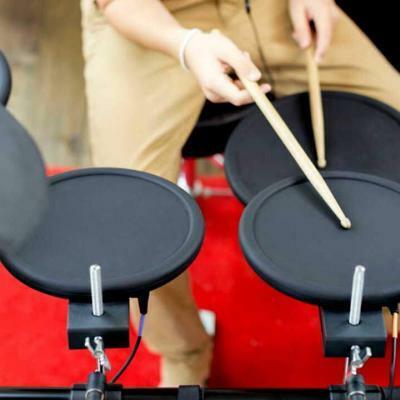 This drum comes in a portable, padded backpack that lets you carry the snare kit around, be it to a gig or band practice. Adjusting the stand is a challenge. About: At All Days Music, our mission is to deliver a better value for your investment. The Mendini Snare measures 14″ x 5.5″ which is the regulation size for snare drums. This snare drum comes with a 30-inch stand with ten lugs. 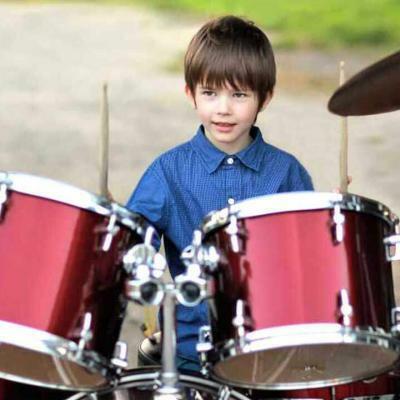 This is the average height for snare drum stands that fit users of all ages. The Mendini Snare Drum comes with a rubber padding that mutes the sound of you practicing late at night. 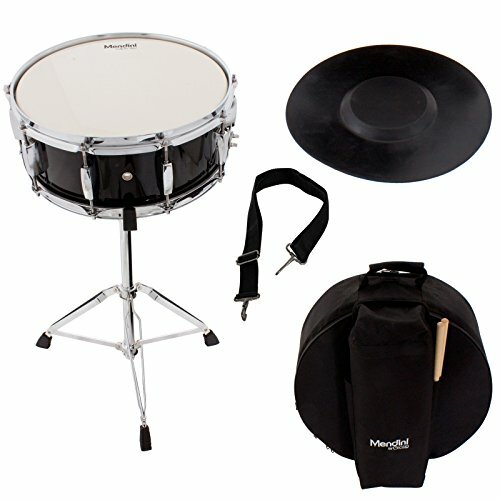 This snare drum kit also comes with an adjustable neck strap for carrying the snare out into the field. The Mendini Snare Drum comes with a padded gig bag that lets you bring it anywhere. About: The Mendini brand is manufactured by Cecilio. Based in California, Cecilio provides musical instruments that inspire musical talent with quality and value. ACHIEVE THAT BRILLIANT ATTACK YOU'VE BEEN CRAVING: Have you been looking for that perfect sounding snare drum that would offer you a brilliant, powerful crack with beautiful overtones? Well, your search is finally over! Boasting a 3-ply, 7.5mm, 100% poplar wood construction, this snare drum will match any music style including rock, metal, funk, gospel or even pop and give that punchy, penetrating sound you've been looking for, perfectly complimenting your playing. UPGRADE YOUR DRUM KIT'S STYLE: Its exquisite, Black Hickory shell wrap with simple, high-gloss finish that is simply gorgeous to look at and the unrivalled craftsmanship make this deluxe musical instrument a worthy addition to any drummer's collection. 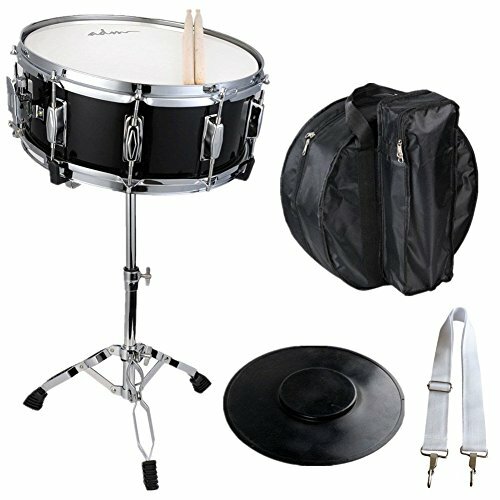 An excellent choice for beginners, students or professional musicians, this 14" x 5.5" snare drum can be easily used as a primary or secondary snare. Drum head top: White coating. Drum head bottom: clear. 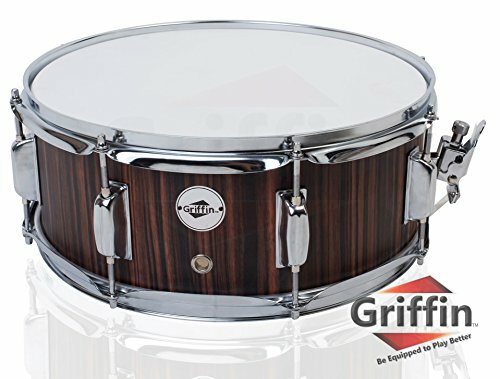 This snare drum by Griffin is made using 3-ply, 7.5-mm poplar wood as the exterior shell and a glossy PVC finish. The snare drum itself measures 14″ x 5.5″ and can fit in any standard drum set. The Griffin Snare Drum comes with tuning lugs that let you tune it without any hitch. This snare drum comes with a quiet drum throw off that lets you tighten or loosen the snares to your preference. About: The Griffin brand is built upon reliable service, economical products, and top-notch customer service. Griffin aspires to build its reputation upon reliability, in turn earning respect among new customers and a relationship with repeat customers. Out of the three listed snare drum kits, the Griffin Snare Drum is the clear option when it comes to producing great-quality sound while sporting a classic wooden shell finish. The eight lugs let you tune this snare drum quickly and easily, while the heads are made of quality membranes that respond beautifully to the sticks. The throw-off is a nice addition as it allows you to tighten, loosen, and even mute the sound as you go. Snare drums offer a characteristic beat to any song. 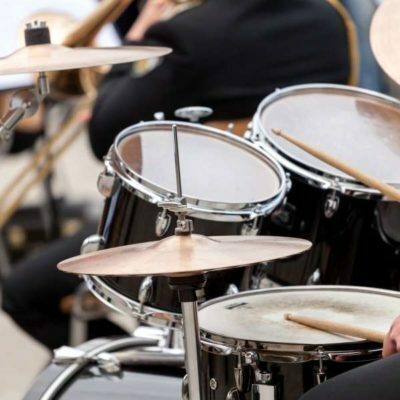 If you love a good rhythm, then learn how to play and master it at any age as it is the gateway instrument to the amazing world of percussion. What are you waiting for? 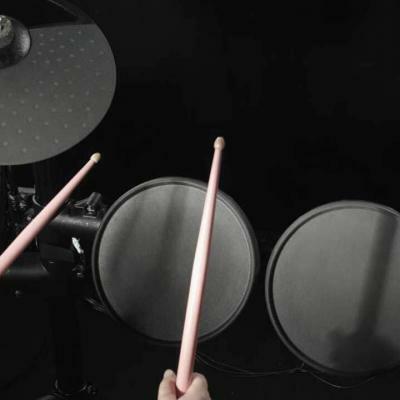 Pick up a pair of sticks and start hitting that beat!